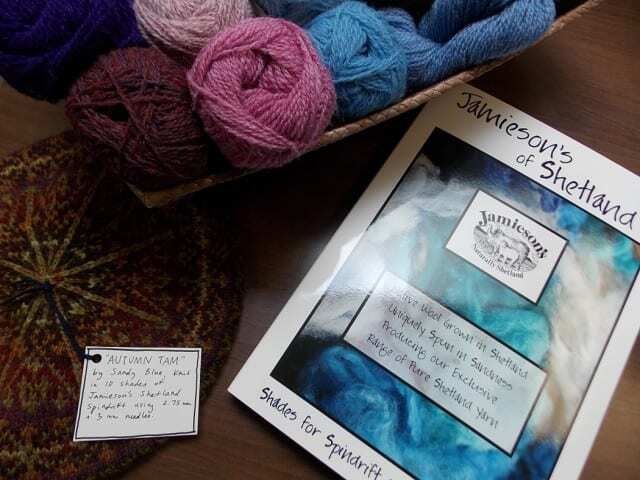 If you’ve visited the shop in the past month or two, you may have noticed our stash of Jamieson’s Shetland Spindrift front-and-center in the second room. 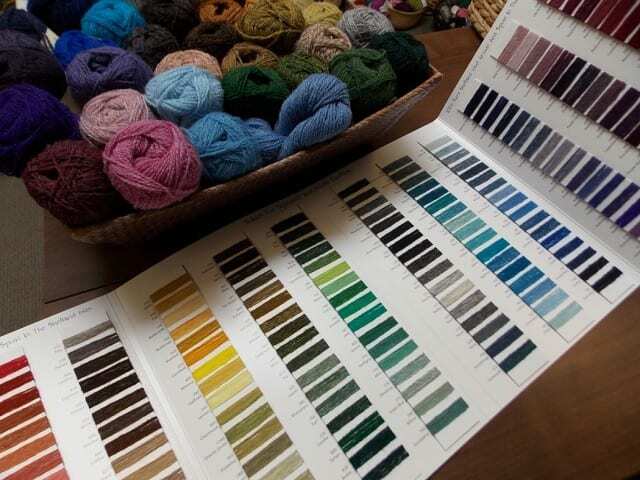 We’ve recently replenished our supply of the stuff, inspiring us to plan some colorwork projects. I finished knitting the “Autumn Tam” just before we left for TNNA, where we serendipitously encountered its designer, Sandy Blue. I had so much fun knitting it, not only because of the clear, engaging pattern and well-reasoned color combination, but also because I just love this yarn. I’ve already picked out enough for a sweater: “Puffin,” by Kate Davies. 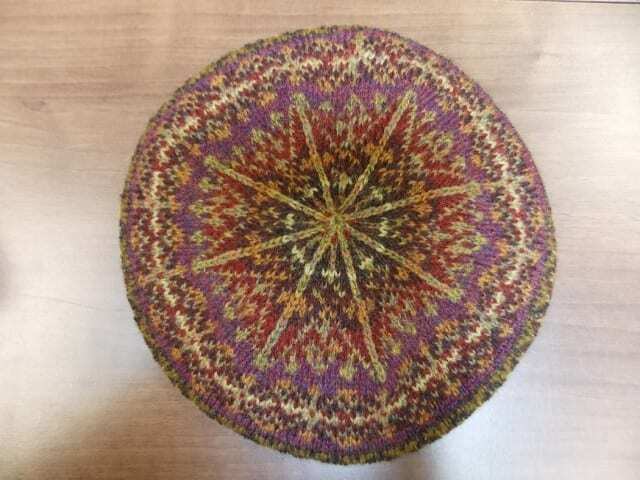 I’m happy to announce that Nancy Cavender is offering a class at the shop on knitting fair isle tams, giving students the choice of Sandy Blue’s “Autumn” or “Midnight Sun” tam patterns. 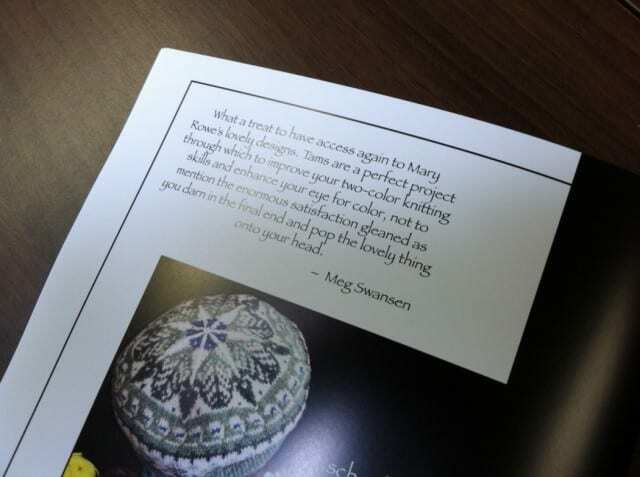 Head to the “Classes” page on our website to sign up now! 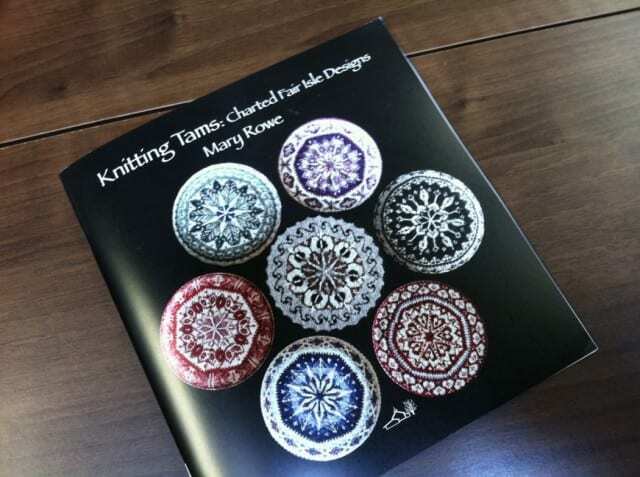 We also got a new book on the subject, Mary Rowe’s Knitting Tams: Charted Fair Isle Designs, published by one of our favorites–Schoolhouse Press. Most of these patterns, like the “Autumn Tam,” are knit in Jamieson’s Shetland Spindrift, though a couple of them call for heavier yarns. Anne snapped up a copy of this book the day it arrived, and I can’t blame her; these are exciting patterns for lovers of colorwork. I’m equally excited about our newly-acquired Jamieson’s color-card, which shows all 200+ shades of Shetland Spindrift. We can’t stock them all here at the shop, but if you’re looking for any colors in particular, do let us know and we’ll be happy to order them for you. 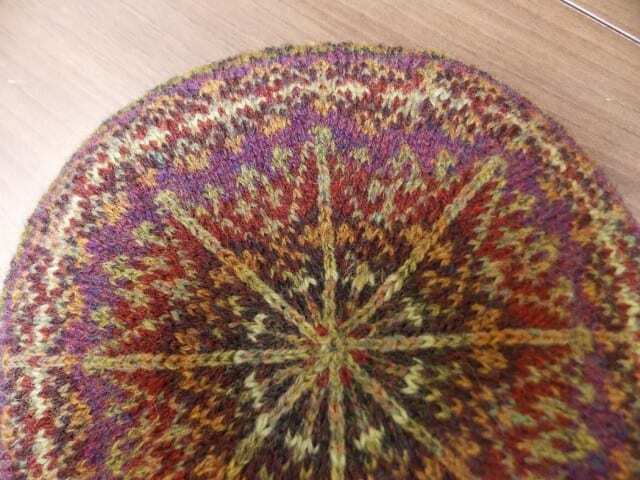 Come by the shop to see our sample “Autumn Tam” and plan a fair isle tam of your own!